New Name in Gaming Audio Partners with Konami to Bring Premium Sound to The Pro Evolution Soccer 2016 UK Finals! San Diego, CA – March 30, 2016 – LucidSound, the all-new audio headset brand from the founders of TRITTON™, announced today that their new LS30 Wireless Universal Gaming Headset will be making its European debut at the popular Gadget Show Live consumer show, taking place at the Birmingham NEC from March 31 through April 3, 2016. Winning the Reviewed.com prestigious ‘CES Editors’ Choice Award 2016’, the acclaimed new gaming headset arrives in style, and will be available to purchase direct at the show, for the first time in Europe at the LucidSound booth (K170). In addition, visitors will have ample opportunity to experience the unparalleled comfort and uncompressed audio quality for themselves, when the LS30 makes its presence heard at multiple locations through the duration of the show. Selected as the headset partner for the Konami PES (Pro Evolution Soccer) 2016 UK Finals, the LS30 headsets will be worn by 32 of the UK’s most talented gamers, live on Twitch and to hundreds of spectators, as they battle for supremacy and the honour of attending the world PES championships! For those seeking a more interactive environment, visitors are encouraged to attend the Arcade Stage, where audience members will be invited to take part in a variety of gaming challenges for the chance to win a LucidSound Headset of their own! 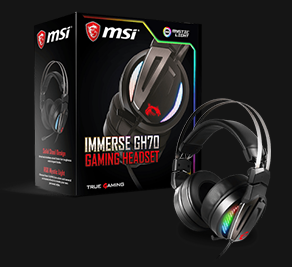 Compatible with PlayStation®4, Xbox One, PlayStation®3, Xbox 360, mobile phones, and smart devices, the LS30 Wireless Universal Gaming Headset features a uniquely refreshing design, far removed from bulky, over-engineered designs commonly associated with gaming audio and instead focusing on comfort, style, and innovation. Proprietary channel-hopping technology provides interference-free audio and advanced 2.4GHz uncompressed wireless technology provides best-in-class sound quality. 50mm Neodymium drivers provide deep bass and clear highs while three audio modes, Normal, Bass Boost and Treble Boost, provide gamers with optimal audio for a wide range of gaming genres. In addition, the rechargeable battery offers up to 15 hours of uninterrupted gameplay. The LucidSound LS30 Wireless Universal Gaming Headset is expected to go on sale across Europe beginning April 2016. LucidSound is committed to providing gamers with the ultimate experience in sound by creating high-end audio products. Company founders are no strangers to acoustics, as they hail from the legendary audio brand, Tritton. LucidSound founders are now unleashing their industry know-how, creativity, and technological understanding of what gamers really want by elevating what consumers can expect from a headset. TRITTON is a registered trademark of Mad Catz Interactive, Inc.
All other marks are the property of their owners.